Hello from Rory Johnston at MAGIC Live! 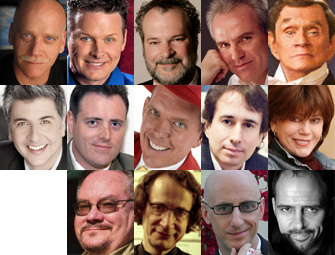 With Independence Day upon us, we are only about six weeks away from another festive occasion: MAGIC Magazine's 20th Anniversary Celebration at MAGIC Live! Once again, we are breaking all the rules to bring you an experience like no other magic convention, and we look forward to sharing this time with all our magic friends. A multitude of surprises await! The process for selecting customized schedules has begun. Starting in order of registration date, we are now sending out selection forms via the Internet. If you haven't received yours yet, be patient, your name will come up in order and you will be sent an e-mail link in the next two weeks. In the meantime, talk to your friends and consider which two out of three of the Focus Session you'd like to attend daily. These are just the Focus Sessions! Wait until you see what surprises await you in the General Sessions taking place in the showroom! We're excited that the 2011 MAGIC Live is returning to its original home at The Orleans Hotel & Casino. We've reserved the entire floor of meeting room space, as well as the beautiful Orleans Showroom for all four days. Everyone is talking about the incredible room rate of just $36. Even with tax and a $5 spa fee, that comes in at just $45.32 per night. And that's for double occupancy! We have already oversold our block of rooms held at that rate, but don't panic; the hotel has extended us an additional 100 rooms. If you are planning on attending, however, and have not already made your hotel reservations, do not hesitate! Reserve your room now! Either click here to book online or call (800) 675-3267 and ask for your MAGIC Live rate. MAGIC Live will begin with registration at noon on Sunday, August 14th. The first event, however, will not begin until 7:30 p.m. that evening, so you really have all day Sunday to fly in and get settled. The Magic of Paris starring Stephane Vanel and Mark Kornhauser, 4 p.m. at the Paris. The Magic and Tigers of Rick Thomas, 3 p.m. at Planet Hollywood. The last event at MAGIC Live will be our Finally Party on Wednesday, August 17th, running late into the night. This will include the awarding of prizes to the winners of the MAGIC Magazine Film Festival. While some people book late flights out on Wednesday, we recommend that you enjoy the beautiful accommodations that evening and arrange your travel home for Thursday, August 18th. Of course, many of our guests arrive a day or two early or stay over a couple extra nights to enjoy some of the wonderful "magic" of Las Vegas. For your convenience, we've arranged special rates with The Orleans from August 12th through the 21st. We'd like to remind you that this year we are providing an interpreter for the deaf. If you will be using this service, please respond to this email immediately and let us know so we may help you find which performances will be interpreted. And, yes, there are still some last-minute registrations available. Tell your friends!